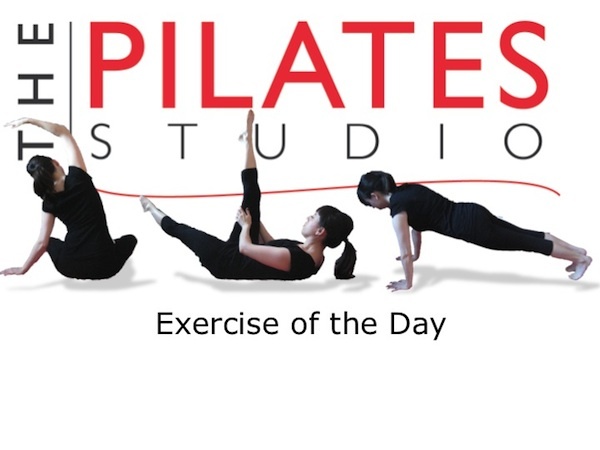 This exercise is a Pilates classic. It is intended to strengthen the pelvic stabilizers by challenging them with movement of the leg. To do this exercise you will need a mat. 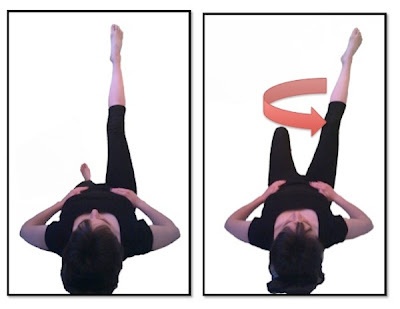 Start by lying on your back with one leg lengthened along the floor and one leg lengthened towards the ceiling. Inhale as you circle your leg towards you and exhale as you circle the leg out and away, and then inhale again as the leg crosses the body to finish the circle. As you inhale feel the back of your ribcage expand into the ground to keep your lumbar spine stabile and as you exhale engage the pelvic floor and the lower abdominals to keep the pelvis still as your leg is making circles. Do 3-5 reps in one direction and then switch legs. This exercise is about counter balance and being able to transition your leg through several positions without movement in the pelvis. The challenge is finding the pelvic stabilizers as opposed to larger muscles that are intended to move the legs. For instance if you are stabilizing your pelvis with your inner thighs instead of your pelvic floor then as you open your leg out to the side the pelvis is going to go right along with your leg. As you do this exercise start with a small circle so that you can be sure that your pelvis is stabile. Then as the movement gets easier you can begin moving the leg in a larger circle. If you are recovering from any kind of hip surgery it is not necessary to cross the leg over the body when you do this exercise.